The Cabin Crew Instructor is responsible for conducting all aspects of cabin crew training in accordance with the company's policies, goals and objectives to ensure that all cabin crew maintain a level of high standards in safety, onboard customer service and delivery. 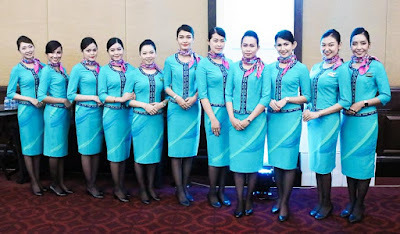 Conducts initial and recurrent Cabin Crew course. Support and promote a culture of safety and security within the Cabin Services Department. 3 years experience as a cabin crew preferably in a training role, within the airline industry. Proficient in Microsoft Suite and able to use Multimedia as a training tool. High standard of written and spoken English/Chinese and high levels of interpersonal skills.